Teaching Philosophy: “My teaching philosophy involves bonding about our love of music and then lots of hard technical work that will allow my students to then play and make music with others at ease. My goal as their harp teacher is to find out how my students learn best, and to help them be confident, self-sufficient, incredible musicians!" Recently awarded Associate Harpist of the Civic Orchestra of Chicago and Columbus Symphony, Alix Raspé is an award-winning classical harpist, chamber musician and musical entrepreneur. Ms. Raspé currently performs with the Portsmouth Symphony and as Principal Harpist with Symphony Nova. As Principal Harpist, Ms. Raspé has also performed with the Harvard Bach Society, LoftOpera, Park Avenue Symphony, Chelsea Symphony, and QUO. This summer Ms. Raspé will be performing as a Harp Fellow at Tanglewood Music Center. Ms. Raspé has received numerous awards as a soloist including: the Annapolis Music Festival Maestro Award for Outstanding Soloist at the age of 13, the NYU Excellence in String Performance and Leadership Award, and the NYU Orchestral Excellence Award. In 2015, Ms. Raspé was also the winner of the NYU String Competition. In 2016, Ms. Raspé was awarded First Runner-Up in the NEC Lower Strings Concerto Competition. As a musical innovator and performer, Ms. Raspé has been awarded two Individual Fellowships and an Ensemble Fellowship for NEC’s Community Performances and Partnerships. With her contemporary flute/harp duo, kairos, Ms. Raspé was awarded two Entrepreneurial Musicianship grants from NEC. Recently, with kairos, Ms. Raspé co-founded and co-directed the Dorset Chamber Music Residency (DCMR) which had its inaugural summer last June 2017. DCMR is community-driven classical chamber music festival in which the musicians are in residence in the town of Dorset. Ms. Raspé has performed in Carnegie Hall, Alice Tully Hall, Symphony Hall, Juilliard’s Paul Hall, Morse Hall, NEC’s Jordan Hall, and Symphony Space. Ms. Raspé has attended such prestigious music festivals as the Aspen Music Festival, the Bowdoin International Music Festival, National Orchestral Institute, MusicAlp, Saratoga Harp Colony, Symphony Orchestra Academy of the Pacific, and Interlochen Arts Camp. Ms. Raspé recently graduated Pi Kappa Lambda from New England Conservatory with her Masters in Harp Performance where she studied with Jessica Zhou. Ms. Raspé graduated from New York University in 2015 with a Bachelor of Music in Harp Performance and a minor in Child and Adolescent Mental Health Studies where she studied with Bridget Kibbey. Prior to attending NYU, Ms. Raspé attended Juilliard Pre-College where she studied with June Han. You can hear Ms. Raspé on The Late Late Show with James Corden, IHeartRadio, with artist MAX, WMNR Fine Arts Radio, the soundtrack of RuPaul’s Drag Races (Season 5) and the film Reservation Road. 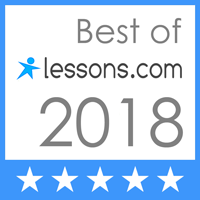 Alix has been teaching since 2011 and has taught at Note-worthy Experiences since May 2018. Read more about Alix in her Teacher Feature. Maddie has struggled to stick with any instrument (piano, trumpet, violin) because of a lack of enthusiasm in lessons, due in part to the instructors. When Maddie decided to take up the harp, I was skeptical, but once I saw Maddie and Alix together, I knew this was the right fit. Maddie is excited for her lessons (even the FaceTime lessons) and eager to show Alix how much she has improved week over week. Alix is very patient with Maddie and so encouraging. Right from the start, Alix had Maddie learning songs, not just notes, which at 11-years of age this was key to getting her interested in the lesson. Alix is always positive and up-beat. She pushes Maddie to do her best and focus beyond the present. She has recommended camps and programs which would be good for Maddie once she gotten more experienced with the harp. In less than 6-months, Alix had Maddie feeling confident enough to enter the Music Scholarship competition. Although not a finalist, Maddie was happy with her feedback and her and Alix are already planning for next year's competition. Alix is a blessing for Maddie. Alix instills confidence, a love a music and a sense of uniqueness (seriously - its the harp...) which Maddie desperately needed.